Mandatory Disclosure Is Important In Florida Law. What Is It? All periodic checking account statements for last 3 months and all other accounts for the last year whether the accounts are still open or not. Any account where the party’s name appears whether joint or individual as well as an account on behalf of another person or in someone else’s name on the party’s behalf is included. Most recent statement from any retirement, pension plan, profit sharing, or deferred compensation. Last periodic statement, declaration page, and certificate for all life insurance policies. Promissory notes for the last 12 months, charge account and credit card statements, and records of indebtedness from the date of filing to the previous 3 months. All premarital and postmarital agreements, which were properly written, signed and notarized to be acceptable in court. Court order requiring a party to receive or pay child support or alimony. Tangible evidence and documents showing a party’s claim of special equity or nonmarital ownership of an asset or debt dated from the acquiring date of the asset or debt to the date of production or from the date of marriage, if based on acquisition before marriage. If the party has ownership or has an interest in a corporation, trust, or partnership greater than 30% tax returns for the last 3 years must be provided. This is a simple breakdown of the requirements for mandatory disclosure. The appropriate financial affidavit must be filed with the court and the parties cannot waive this requirement. 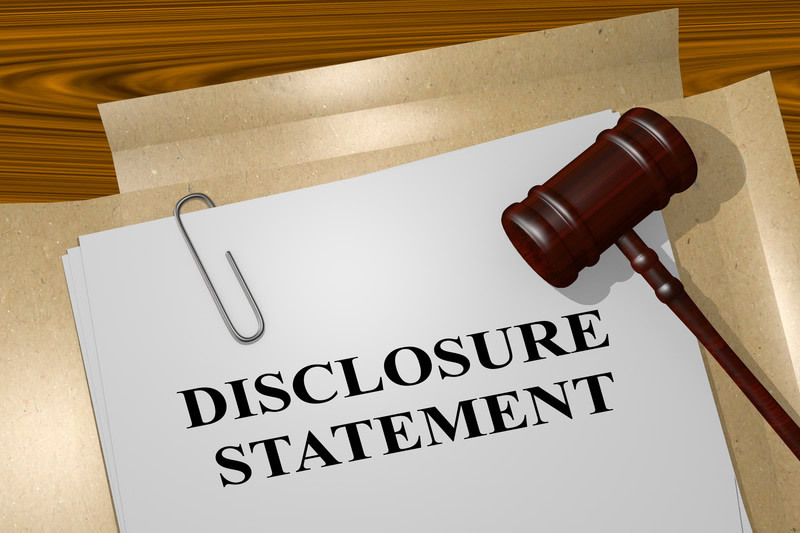 To learn all the extenuating details surrounding mandatory disclosure, search online for Florida Rule 12.285.